If you’ve been wondering if Yetis are real…wonder no longer. We had a special visit today by an actual Yeti–Neddy the Yeti in fact. Don’t judge him by his size. Neddy the Yeti is one tricky character and can cause lots of headaches and frustration. He toppled our favorite Trekker Journal and staked his claim atop it, not wanting to relinquish control, which was really hard because we wanted to make a pencil sketch of his antics. Careful. He’s got quite a bite with those chompers. There were some tense moments, but at the end of the day, we learned that at the center of it all, Neddy’s got a heart of gold. Just keep your fingers away from those sharp teeth. 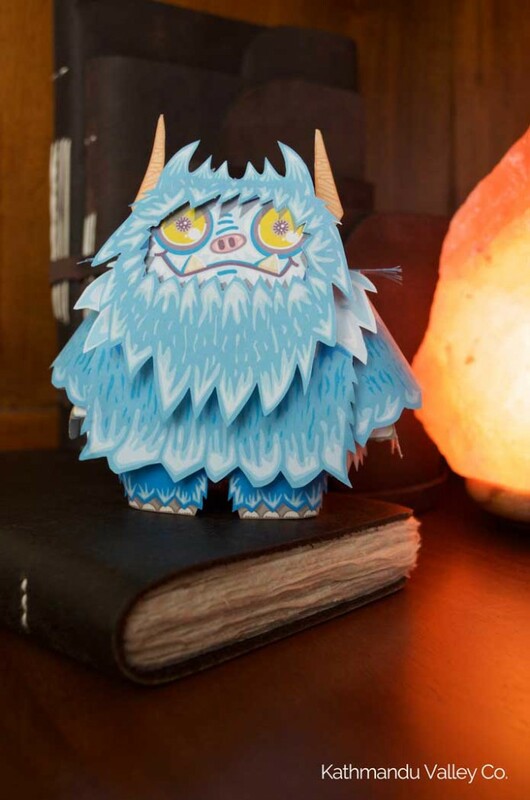 Neddy is a free paper toy, and the pattern is the creation of the very talented Bryan Ratliff of Chemical Nine. 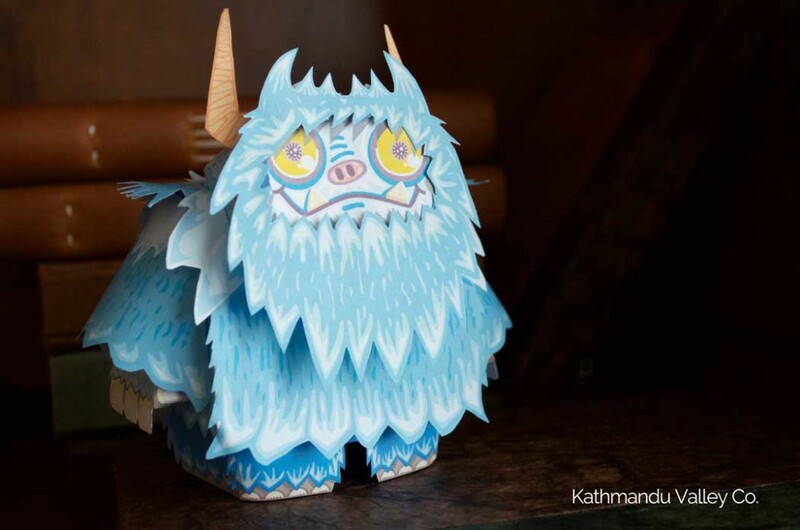 You can download the free template of Neddy the Yeti here if you wish for Neddy to make an appearance at your home. Neddy also staked a claim on top of one of our Eco Journals. At least he relinquished control of our Trekker Journal…for now.